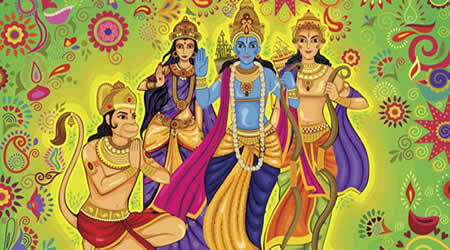 Rama Navami (Devanāgarī: राम नवमी; IAST: Rāma navamī) is a spring Hindu festival that celebrates the birthday of god Rama. He is particularly important to the Vaishnavism tradition of Hinduism, as the seventh avatar of Vishnu. The festival is a part of the spring Navratri, and falls on the ninth day of the bright half (Shukla Paksha) in the Hindu calendar month of Chaitra.